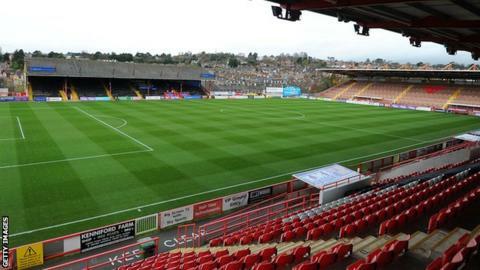 Exeter City chairman Julian Tagg says improving the club's infrastructure is the priority with money they make from their FA Cup replay at Liverpool. Tagg says the club are unlikely to make the £1m predicted by some observers for the two games, as ticket prices for the replay will be at a reduced rate. But Exeter will make at least £500,000 from the two ties, with more if the replay is on television. "We're trying to develop our grandstand and the training ground," Tagg said. "The buildings at our training ground were built in 1974 as temporary buildings, so we've got an awful lot of money that we need to plough back into making our club stronger and stronger." Exeter held an under-strength Liverpool side to a 2-2 draw at St James Park on Friday, having twice gone in front. And Tagg confirmed manager Paul Tisdale will be able to use some of the cup money to strengthen his squad during the transfer window if he needs to, having already brought in AFC Bournemouth striker Jayden Stockley on loan this week. "We want to give some to the manager because we want success on the pitch, but we need to spread it around and we need to support our academy which does such a great job of putting players onto our first-team pitch," Tagg told BBC Radio Devon. "Our club is run and owned by it's supporters and there is no huge financial backup if it goes wrong, there's no Americans or Russians to bail us out, so we have to be a bit more careful and a bit more cautious." Ballon d'Or: Who voted for whom? Read more on Ballon d'Or 2015: Did Cristiano Ronaldo vote for Lionel Messi?